Complete with access decks. 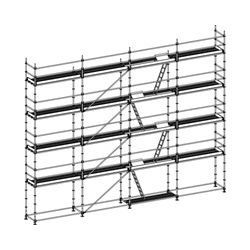 The welded scaffold frame is the core of this type of facade scaffold. The frames are assembled on top of each other. They support working platforms as well as access decks, side protection and bracing. 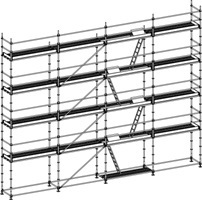 The design enables maximal speed to assemble and disassemble the scaffolding.